Carnival Cruise Line is making a number of changes to its room service policy, including a new charge for late-night orders, a cruise line representative tells Travel Agent. The new changes will start being implemented next week. Under the new rules, the cruise line will no longer offer complimentary room service from 10 p.m. to 6 a.m. Instead, an expanded offering of fee-based food items will be available, including salads, sandwiches and specialty items. New options will include Greek Salad; Chicken Caesar Salad; Portabella & Veggie Bun; Grilled Cheese, Bacon and Tomato Sandwich; and Roast Turkey Wrap; as well as a selection of new desserts including Dark Chocolate Walnut Brownies; Doughnut Sandwich; and Banana Split. Prices for menu items will range from $2 to $6, Carnival said. The pizzeria and deli will remain available during the late night period, Carnival said, and these will remain complimentary. Finally, on debarkation morning the cruise line will no longer offer room service. Guests will continue to have the option of breakfast at the Lido deck restaurant, at Ocean Plaza (where available) and in the main dining room. What’s staying the same: complimentary breakfast will remain the same, other than on debarkation morning. Additionally, throughout the day up to 10 p.m., Carnival will continue to offer a variety of salads, sandwiches and desserts on a complimentary basis. During this time period the cruise line will also continue to offer several fee-based items for prices ranging from $2 to $6, as is current policy. A Carnival representative said these changes were made because there is a tremendous amount of food waste during the late night time period, as many people tend to over order and then not eat what they have requested. 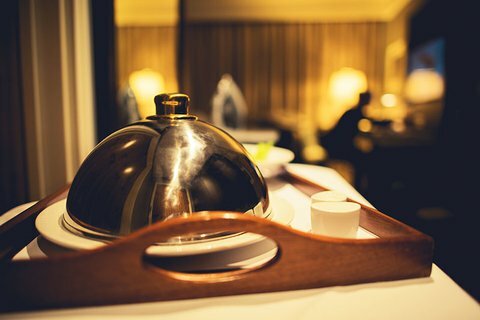 Carnival said it believes that charging for late night room service items will help alleviate this issue. Carnival also said that the line would no longer be able to offer debarkation morning room service due to the huge number of responsibilities based on the ship’s crew during turnaround day.